Sent off my Mirabilia RR yesterday. It is a new one so this is the first mailing. 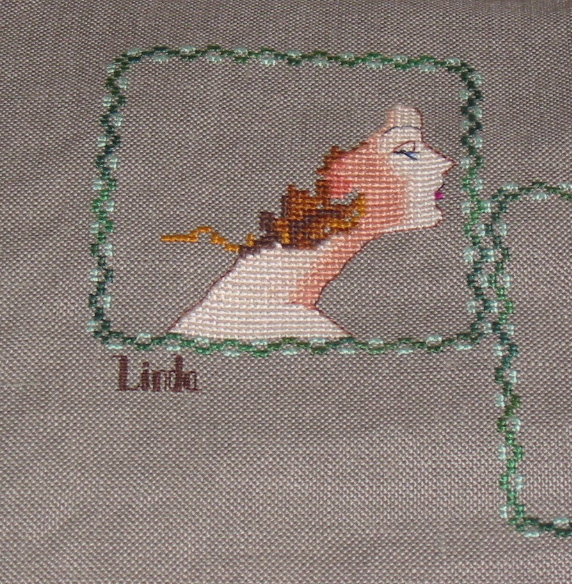 My theme is Mira’s Ladies and I started stitching Elizabeth in my block. 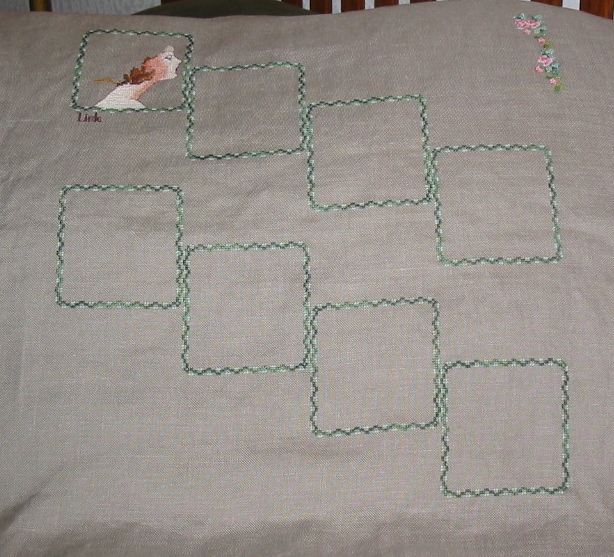 The layout if it was completed has 8 staggered 50×50 stitch boxes and on top right and bottom left there are flowers along the edge and the titles for the RR. Here is a picture of the layout. This is how it looked when I sent it out yesterday. I received the first round of the RR today from Kathy and I can’t wait to start stitching on it. I also need to do my last round of a band sampler RR which started last year. 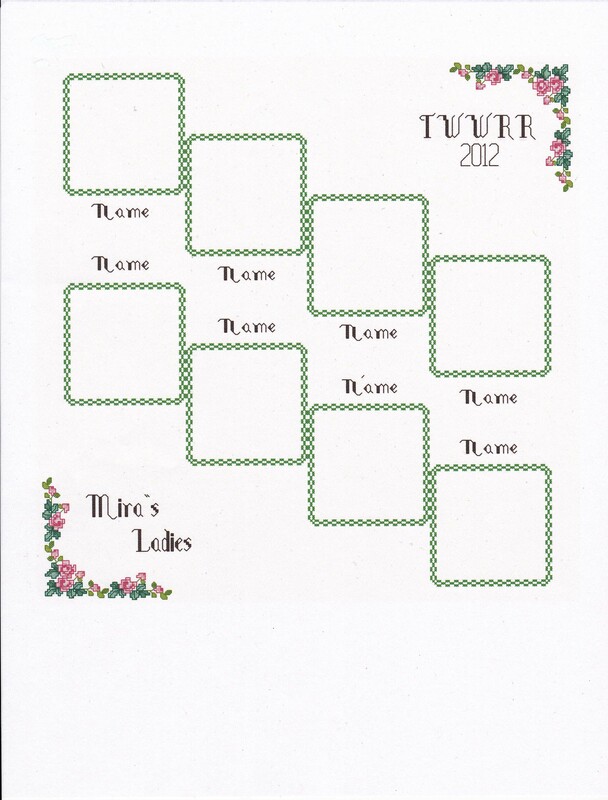 The only things I got done were the boxes and a bit of the flower border in the upper right corner. I couldn’t resist starting my Lady. She is Mira’s latest lady “Elizabeth”. I received my first round of this RR from Kathy and I can’t wait to get started on it but I have the last round of the band Sampler RR which started last year to do first.